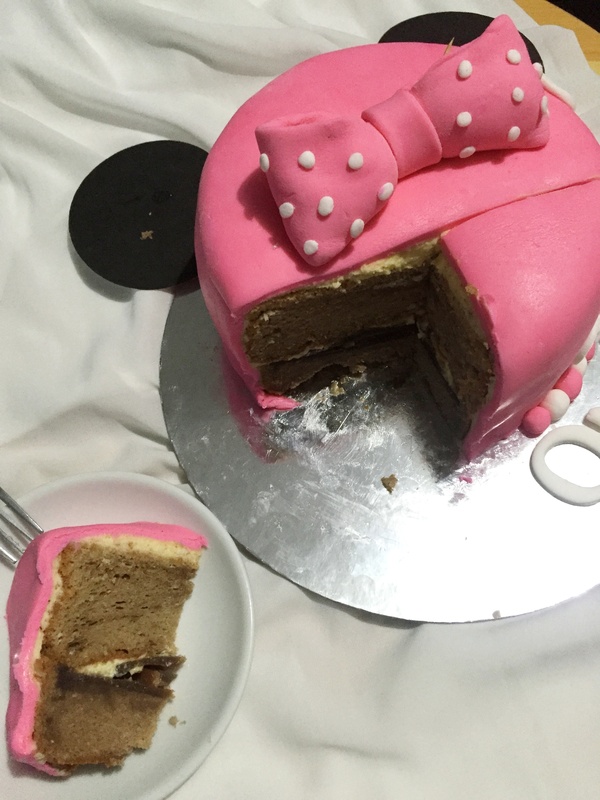 Taste Bud Delights: Cakes by Craving Bites – . Cakes have been part of our to-haves in every type of occasion. I, for one, wouldn’t say my party is complete without a cake. 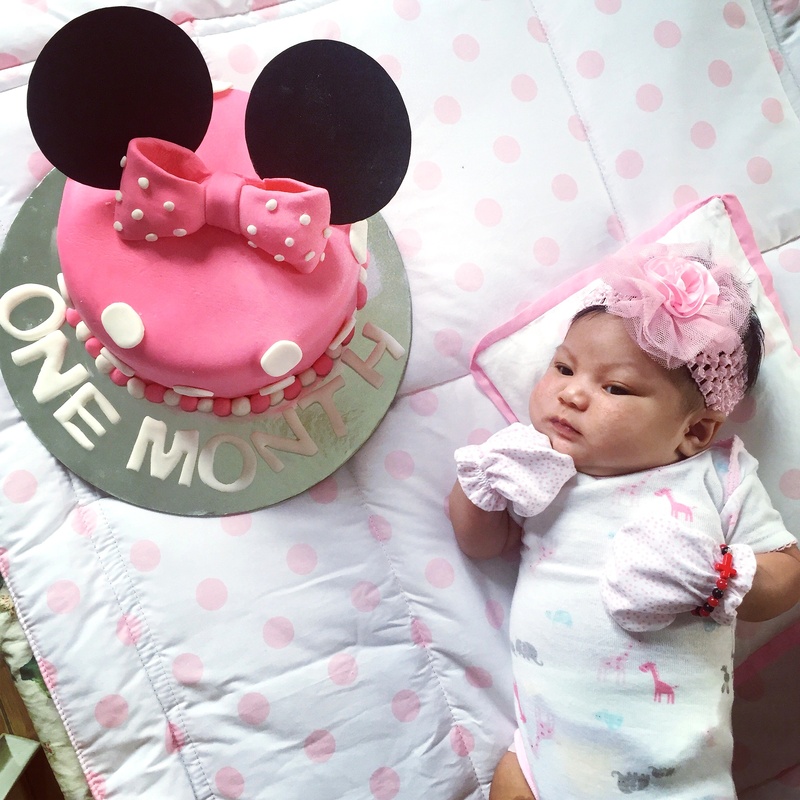 So when my friends organized a baby shower for me last February 2016, I ordered a cake and some cupcakes from Craving Bites Bakeshop, one of the fastest growing online based cake shop. I have a very good taste for sweets, no argument on that. 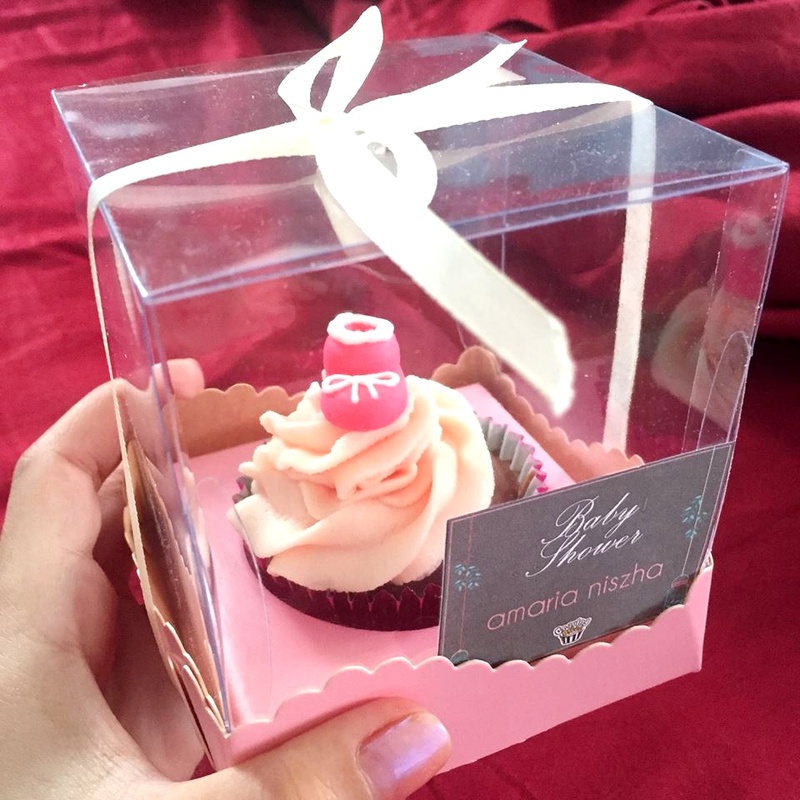 😀 And I must say, Craving Bites’ cake and cupcake do not only only look great but also tastes heavenly! And I honestly didn’t expect that. 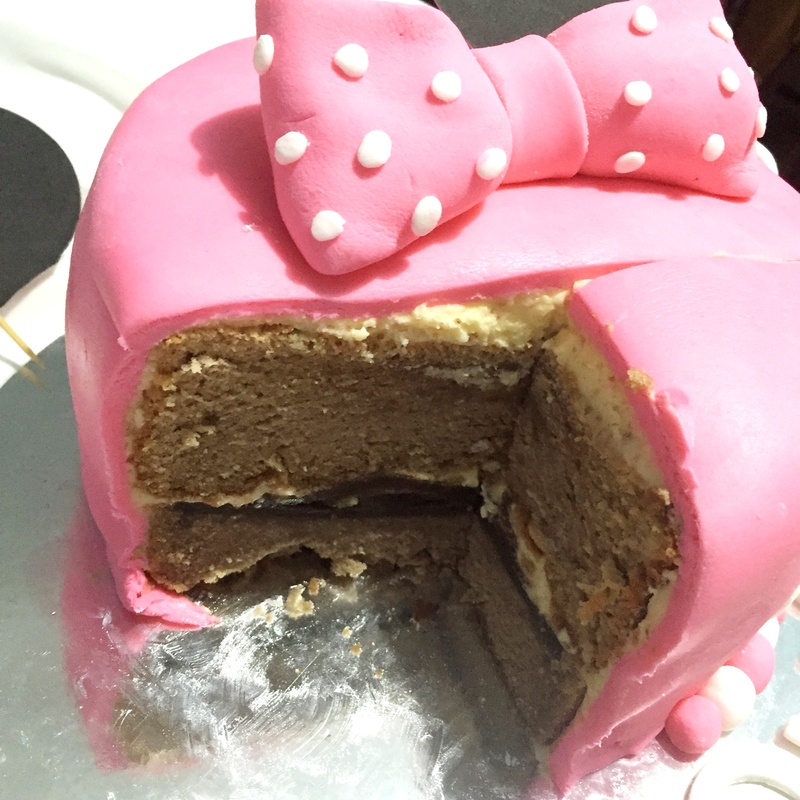 Most fondant cakes taste bitter, that I don’t know why. I was never a fan of fondant cakes for that reason but the best thing about fondant is that it provides a greater range for decoration. With fondant, it is possible to attain a more refined and precise creation. 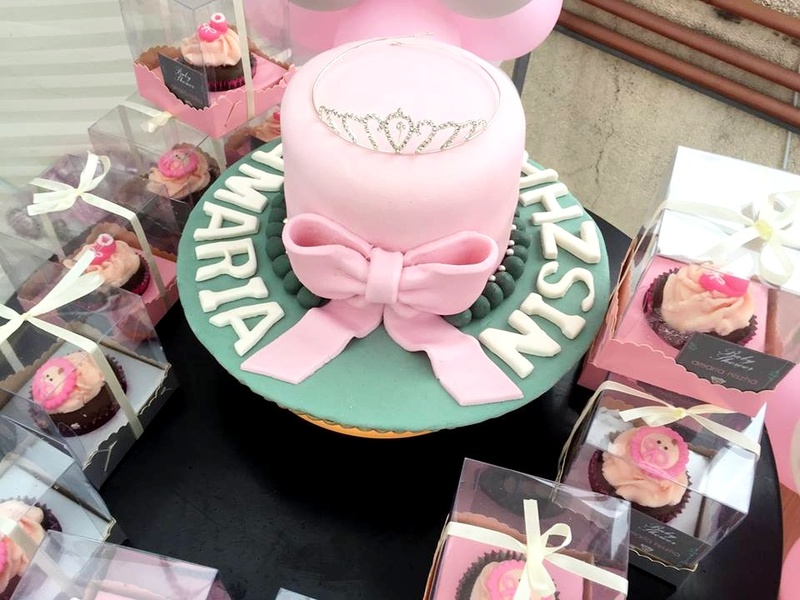 And for my precious occasion, the celebration of having a little princess, I wanted to have a specially designed cake. And oh, I love the simplicity and elegance the cake had come to be! Still to some, fondant lacks the rich buttery taste many cake lovers relish for. But fear not, my buttery cake friends, you can have it all and eat it too! 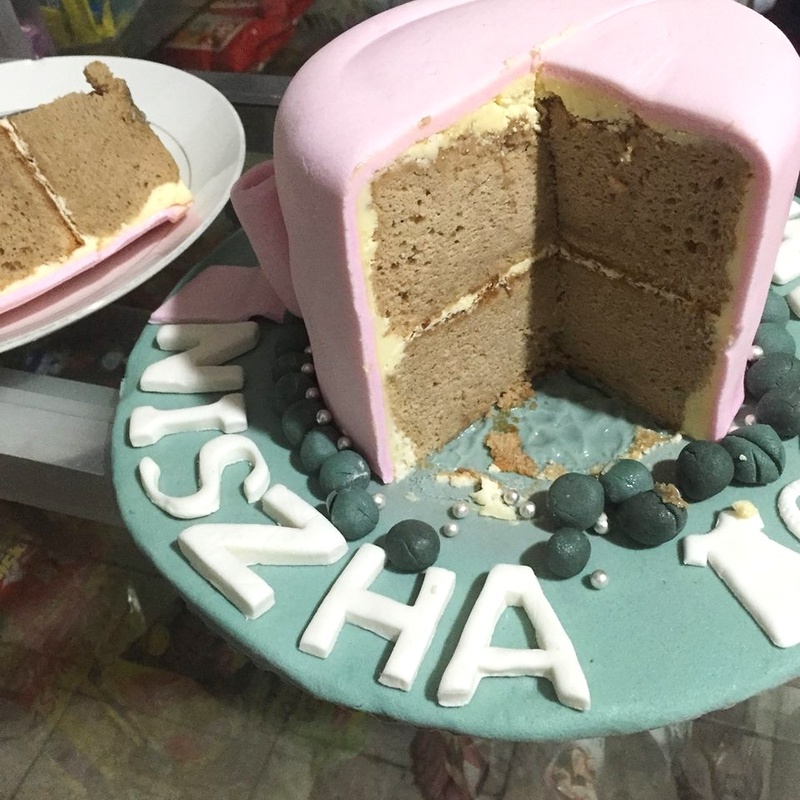 This cake had just the right amount of sweetness plus the balls designed around this cake tastes like bubblegum! Oh my! The cupcakes tasted great too! When you order them, the ribboned box and the personalized sticker for your specific occasion are all inclusive for only Php50. And you know that’s a good deal. They also have P30 and P18, for a minimum quantity order of 24 pieces. 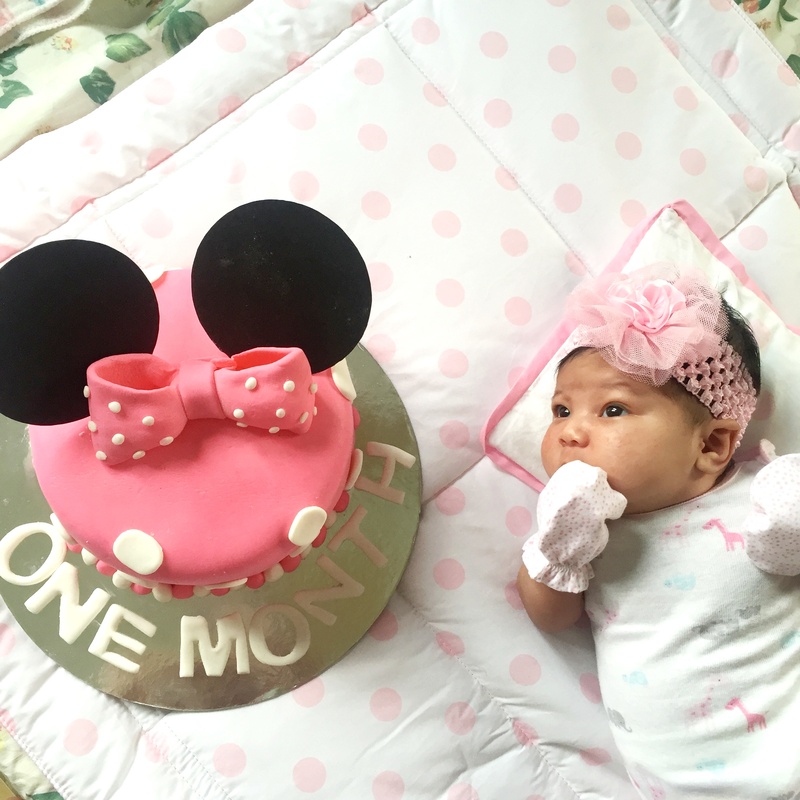 And surprisingly, I received another cutely designed fondant cake from Craving Bites for Amaria Niszha’s 1st Month! Look how artistic it is! Fondant is generally applied to a cake as a decorative covering. Most cakes are iced in a rich buttercream layer before fondant is applied, like the ones from Craving Bites. So you can enjoy your delectable celebratory splurge two ways and marvel at its intricate design too! 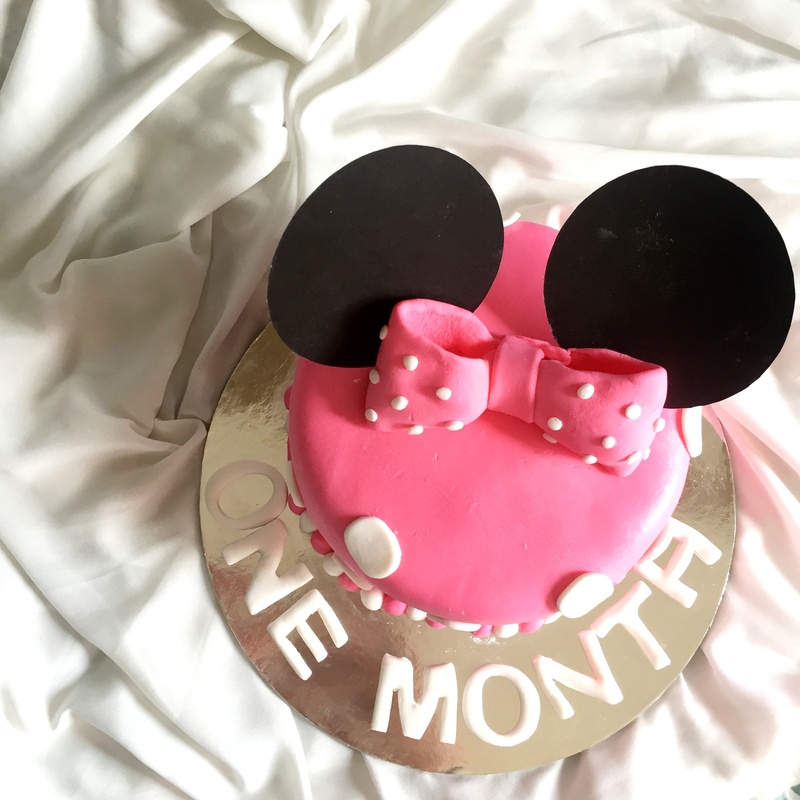 This online cake shop is owned by a young creative mommy, Aicee Tadaya, who started to have interest on the craft during her baking class when she was on her 2nd year in college. She loved it so much since then that she thought of getting income out of her passion. She put up @cravingbitesph on Instagram on November 2013 and clients started pouring in! 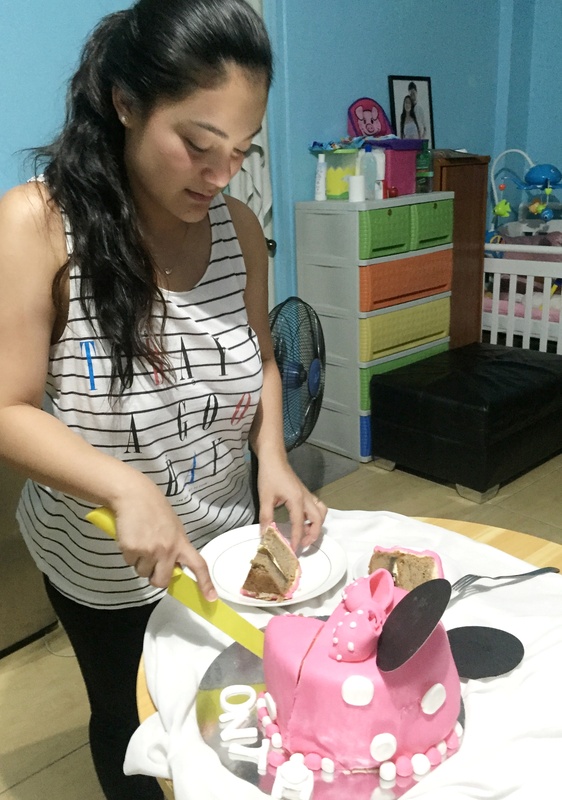 Mommy Nish can’t wait to have a slice of this pink cake! 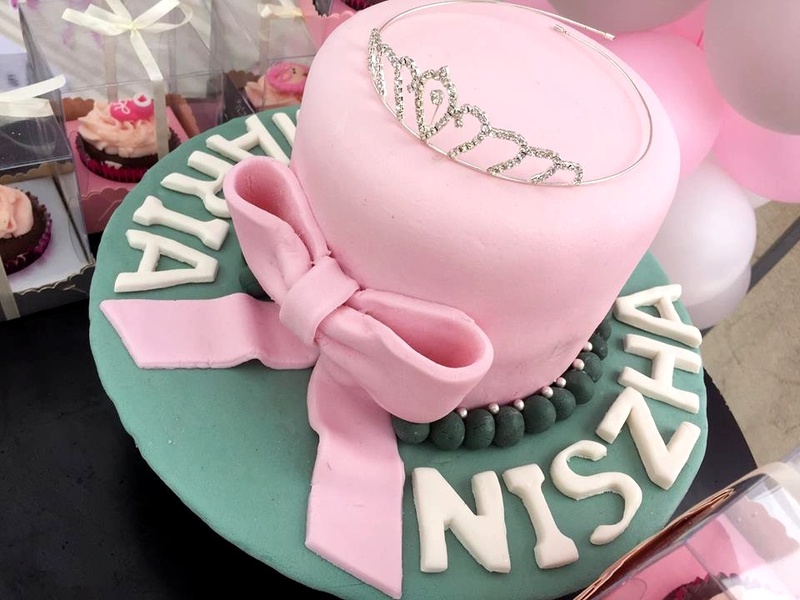 Pricing for specialty fondant cakes varies but of course they are generally more expensive than buttercream cakes because of the high price of fondant and the personalized design they’d do to your cake. 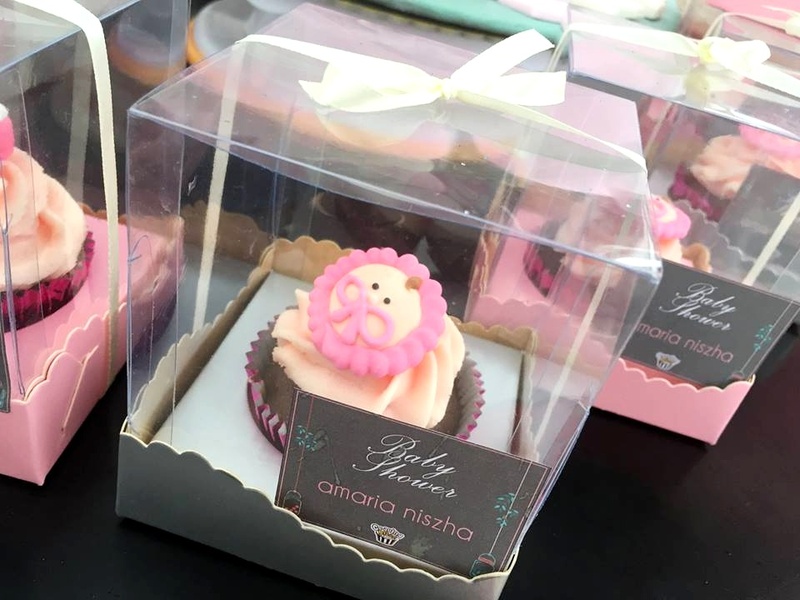 The price range for Craving Bites’ customized fondant cake correlates mainly to the amount of decoration a specific cake design has. Their price starts at P1,500-P1,800. And of course, let’s not forget the amount of time it requires the cake artist to bring the creation to life. This is definitely an art! Your cake can have your own specific design, and you can choose between Chocolate or Mocha Vanilla flavor. You must notify at least a week before your event to be sure that they could cater for it. Check out @cravingbitesph on Facebook, Instagram or Twitter for more of their cutely designed yummy cakes. You may also contact ‭0947 380 8905‬ and Viber them at 09231084205 for inquiries. Cute cake. Cute Baby. Never seen a one month anniversary. Don’t let that stop you. Celebrate often. Keep it up!